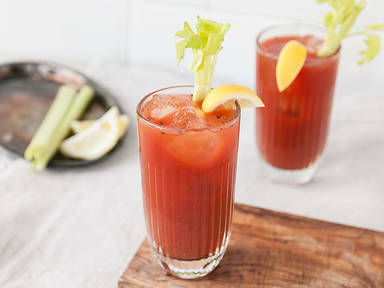 Add lemon juice, vodka, tomato juice, Worcestershire sauce, and Tabasco to a highball glass. Season with salt and pepper and fill with ice. Stir thoroughly. Garnish a celery stick and lemon wedge. Enjoy!